Bill Bennett may well be the new Bill Bryson in his self deprecating description of his pilgrimage along the ancient Way of St Francis. He meets wonderful characters, endures physical and emotional hardship, and makes us question what is truly important. This is a wonderful account of a personal journey. The physical journey is the Camino de Santiago, but this journal is so much more. Sometimes laugh-out-loud funny, sometimes emotional, but always engaging, this is also a spiritual journey for someone searching, but for what? A truly uplifting story that left tears in my eyes. A great read. This book is a must read for anyone who has, or is considering walking the Camino Frances in Spain. In fact it’s a must read for anyone who enjoys an uplifting and moving story told in an entertaining and engaging way. 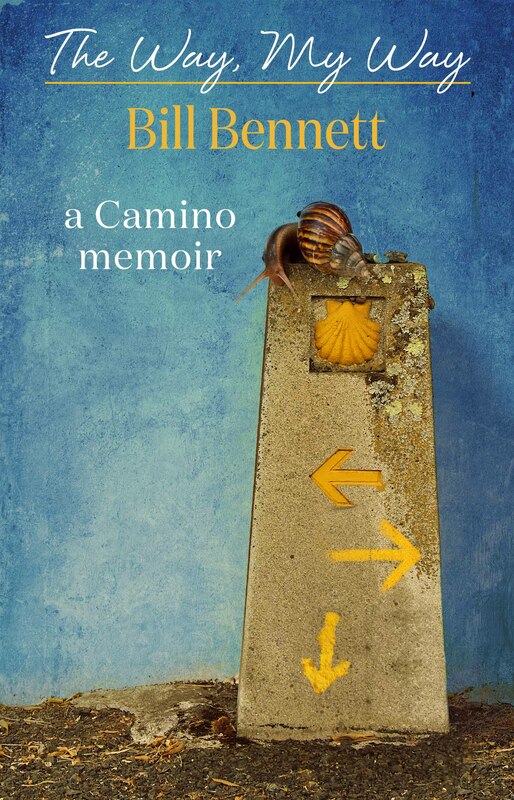 Bill Bennett’s book is more than just a memoir of his experience walking an ancient pilgrimage route in today’s Spain. It is a brutally honest, witty and thought provoking story of one man’s journey on The Way. Inspiring in every sense, it is a wonderful read and should be compulsory reading not only for all pilgrims past and future, but for anyone who loves a tale of inspiration for today. I’ll soon be making a film on intuition, called PGS – Intuition is your Personal Guidance System. I believe that we each have within us a guiding mechanism that tries to keep us on our path in life. I’ve called it our Personal Guidance System. As for me, I’ve been an independent filmmaker for more than 30 years. I’ve done 15 feature films and over 40 hrs of documentary. I’ve won numerous awards, including Australian Film Institute Awards for Best Picture and Best Director. My films have screened in Official Selection at Cannes, New York, Berlin, London, Toronto and various other film festivals. I’ve had three major international retrospectives – in the US, Germany and India. My life was saved by an intuitive insight while I was working on a movie in New Orleans. Ever since I’ve been fascinated by intuition. In this film, I want to know: What is it? Where does it come from? And how can I bring it into my everyday life? I walked the Camino intuitively, using my PGS, and that will inform the making of the film.